ISLAMABAD, Nov 30 (APP): Terrified inhabitants of Azad Jammu and Kashmir have started building bunkers to save their lives due to the continued ceasefire violations by the Indian forces along the Line of Control, a report carried by two Belgian newspapers Daily La Libre Belgique and Daily La Dernière Heure on Wednesday said. According to the report, “There has been increasing tension between India and Pakistan over Kashmir. Dozens of people, including many civilians, have been killed in recent cross border shootings. “The family of Chand Bibi, who lives on the Pakistani side, in the Neelum valley has started to build a bunker. The bunker, once completed, will accommodate the twenty or so members of her extended family. It costs them 300,000 rupees (3,000 dollars), a significant amount in this valley where a worker earns on average less than 8 dollars a day,” the report said. “Sultan Ahmed, a teacher, will pay nearly 5,000 USD for his space of 3 by 4 meters protected by 20 cm of reinforced concrete, all buried one meter underground. It will house up to 25 people, said the 47 year old,” it added. The report further said that transporting the building materials for the bunkers to these remote valleys was expensive. Those who do not have the means strengthen their homes as they can. “We put sandbags to reinforce the front walls,” the report quoted Zarina Bibi, a 65 year old widow with a family of 15, as saying. “We are constantly in fear. We do not know when the Indian army will start firing again”, she said. 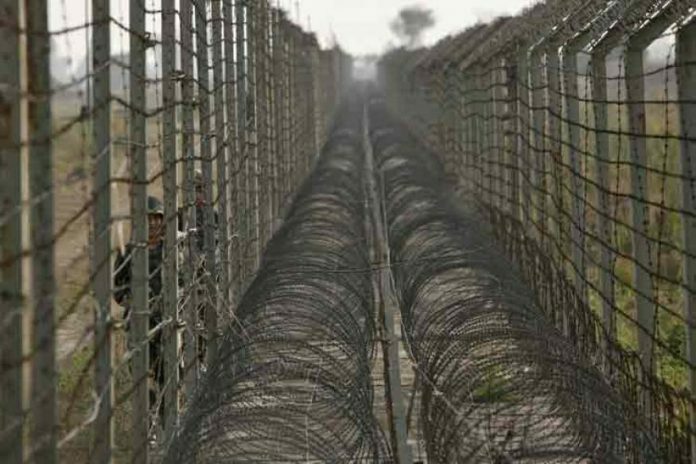 Around half a million people live within shooting range of the Indian army on the Pakistani side of the Line of Control, the report quoted the leader of Azad Kashmir province, Farooq Haider Khan as saying. The government plans to build “collective bunkers” for residents and an evacuation plan has been developed, he said. The valley of the Neelum, used to be a popular tourist place but the number of tourists collapsed after the increased tensions, the report noted. On November 23rd, nine civilians were killed when a bus was hit. Since then, the road linking Muzaffarabad, to the Neelum valley has been closed for an indefinite period. The situation shows no sign of appeasement. On Tuesday, the Indian army announced the death of seven soldiers in an attack on a military base in Nagrota in Indian Kashmir, the report added.